Internet Marketing Resolutions for 2012 - InsideOut Solutions, Inc.
Google released 21 major updates in 2011, up from eight in 2010, five in 2009 and two in 2008. Most of these updates were centered around updates named for an endangered bear. In terms of search engine marketing, 2011 could be called The Year of the Panda. These updates were implemented to return higher-quality search query results by placing quality websites near the top of the search results and lower the rank of low-quality sites. Many complaints, a request from Google for help in gathering data, and several updates later, it appears Google Panda is finally starting to deliver on its promises. According to StatCounter, the mobile device market for internet use continued to grow throughout 2011, rising to from just over 4% in December 2010 to 6.5% overall in November 2011. In the search market, mobile devices now account for 20% of search engine queries. Google+, the search engine’s latest and strongest foray into social media, was opened up for business profiles in November. Showing up in the news feed of your Facebook fans becomes increasingly important as your fan base grows. Facebook announced their new Timeline personal profile feature, which rolled out worldwide on December 15, 2011. The biggest lesson of 2011 for businesses on Facebook, though, is the need to be active and effective in engagement via the news feed of your fans. The reason for this is the relative lack of traffic to a business page once “liked.” A PageLever study of Facebook analytics shows that as your fan base grows the percentage of fans visiting the business page shrinks. This does not mean that you don’t need to worry about the branding and extra features of your business page; it does mean that you will need to increasingly focus on the timeliness and engagement effectiveness of your postings to compete for visibility to your fans. Twitter announced a new interface that is billed as more “follow friendly.” YouTube announced a new design to enhance its social interactivity features. All of these social media outlets are increasing their competitiveness for their slice of your social media marketing efforts. With 2011 now in the rear-view mirror, it’s time to make sure your internet marketing efforts are ready to meet the challenges as they emerge in 2012. We will be covering the following recommendations in depth, along with others as they emerge, throughout the year in our Internet Marketing Weekly series. Search engines prioritize content appearing “above the fold” – as do website visitors. Regardless of the medium (desktop/laptop or mobile) make sure that what displays “above the fold” (i.e. what initially appears on the display of your website pages and blog posts) is quality content. Relevant header and supporting content should always be a part of this. Use of large images and video are a big question mark at this point, so we recommend slightly de-emphasizing images and videos above the fold unless they are for photo/video-specific blog posts. If you have advertising space on your website, keep it minimal above the fold and do not allow it to dominate any portion of your website pages. Logged-in Google user keyword data is no longer provided in Google Analytics. Touted as privacy protection, Google made the decision to encrypt the searches of its logged-in users in mid-October 2011. Since then, Google Analytics has removed its logged-in user data for keywords entered into Google that resulted visits to your website via organic results. These keywords are now listed as “(not provided)” in keyword reports. The percentage of this logged-in Google user traffic varies from day to day and website to website, but, regardless, your search engine optimization efforts (and/or those of your service provider) should now include monthly review of search engine queries data using Google Webmaster Tools. The data is not as comprehensive (i.e. it doesn’t provide visit quality metrics) but it will provide important information that is otherwise unavailable. Your website may be up an effective tool in generating links out to your online sales, but when a website visitor leaves your website to view products and/or services and make purchases on a provider’s website, are you receiving optimal service? Proper cross-domain tracking and support from your online sales service provider ensures accurate ROI tracking for Google Analytics Ecommerce. If you’re selling products or services online and don’t have Google Analytics cross-domain and ecommerce tracking set up between your website and that of your ecommerce provider, you have no reliable way of tracking the sources (search engine, paid directory listing, etc.) of revenue and are therefore unable to evaluate Return On Investment (ROI). Make sure your provider knows the importance of this tracking to your continued business with them. Hopefully you have a mobile device-specific website already (if not, make it a priority goal for 2012). When a visitor links out to your ecommerce website you are more likely to lose the sale if that site isn’t also friendly for viewing on the user’s mobile device. Increase the effectiveness of social media on your website with prominent placement of links and sharing buttons. If you are active as a business in social media, make sure your efforts include cross-marketing on your website with links to your social media profiles and social media sharing buttons so that users may like, tweet, “+1” and otherwise promote your website content and blog posts in the social media sphere. InsideOut Solutions offers a simple social media bar for our Inndx customers and social media integration options for all of our customers. Assuming you have claimed and filled out your Google Places listing, resolve to claim and fill out your Bing Local and Yahoo Local listings. With that done, you will want to claim and fill out your business listings on local search data suppliers, such as InfoUSA, Acxiom, and Localeze. Shift an appropriate percentage of your search engine paid advertising dollars to the mobile market. Start with a review of our recommended 5 steps to improve mobile PPC and stay tuned for more. Social media’s importance to effective internet marketing will continue to grow in 2012 and businesses should be prepared to become more socially active and effective in their engagement to remain competitive. Google+ might not have the history of Facebook, Twitter, et al., but it does have the name (and deep pockets) of Google behind it. The “new kid on the block” in social media is poised grow its market share substantially. 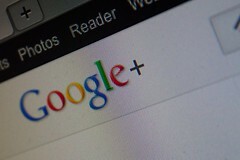 A Google+ user review by GlobalWebIndex indicates that this new social media platform now has 150 million active users. What’s more, Google will likely integrate Google+ into its search results to help enhance its new focus on more personalized search. It’s time to build your Google+ personal and business profiles and start engaging users. Despite its ubiquity in people’s daily lives, YouTube remains a non- or under-utilized marketing outlet for many businesses. Resolve to explore video marketing of your business if you currently aren’t. If you have a YouTube channel, resolve to both take advantage of the new design that’s rolling out and also to produce new quality video content for 2012. It’s vital to your online marketing efforts to brand your social media outlets to be consistent with your website’s branding. InsideOut Solutions offers Facebook, Twitter and YouTube branding services. The huge gains in mobile device internet use in 2011 will continue to grow throughout 2012. Nearly half of mobile users use a smartphone. If you aren’t using QR codes in your print marketing and signage to drive mobile traffic to specific information and/or offers on your website, now is the time to start and InsideOut can help get you on the QR marketing track. We wish all of our readers a happy and prosperous 2012.